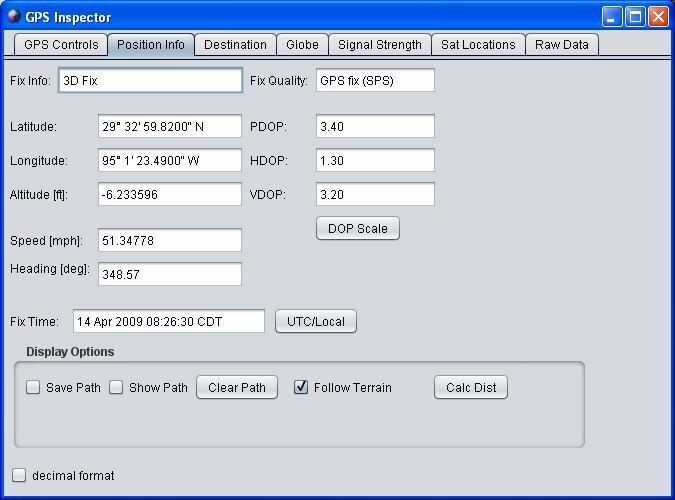 I wrote GPS Inspector as an experiment to learn more about GPS and how it could be used within JAVA. I figured others might find it useful or interesting so I have posted the source (GPLv3) and binaries here. 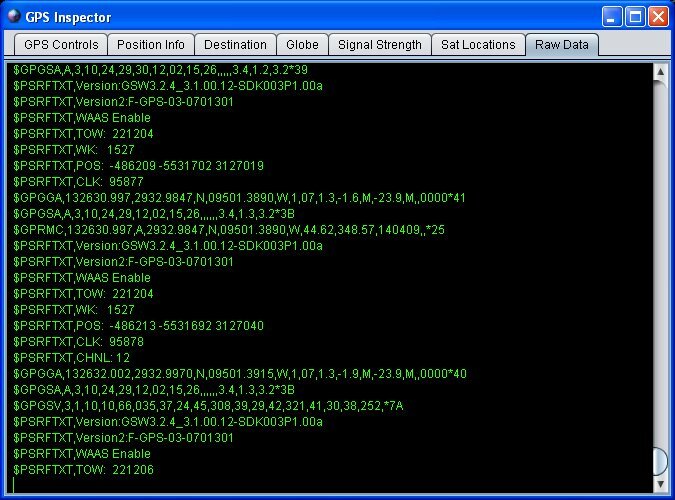 It uses parts of other java libraries including: World Wind Java, Gpsylon, JFreeChart, and RXTX (serial device communications). I used the NetBeans IDE for development. 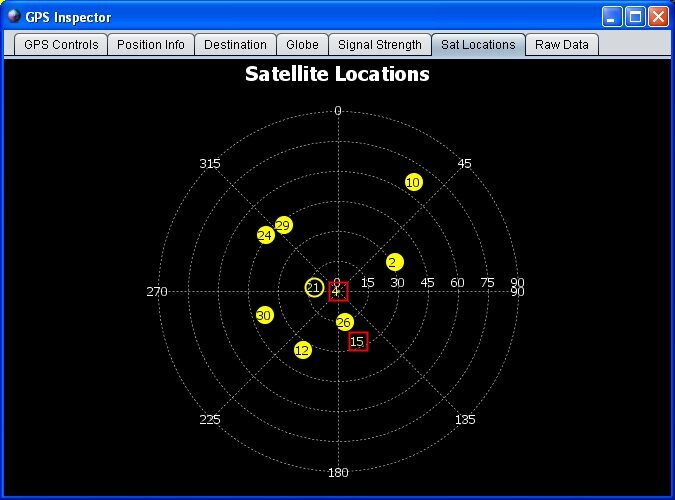 The program should work for any NMEA (spec) compatible GPS device. 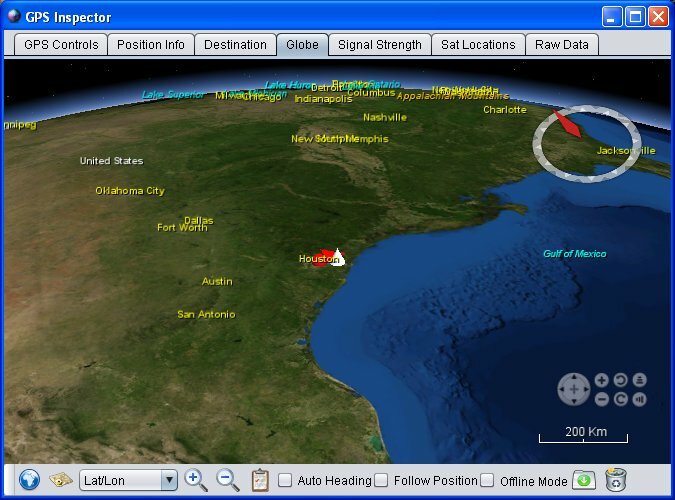 I used the BU-353 GPS Receiver which I got for a really good price on amazon.com. 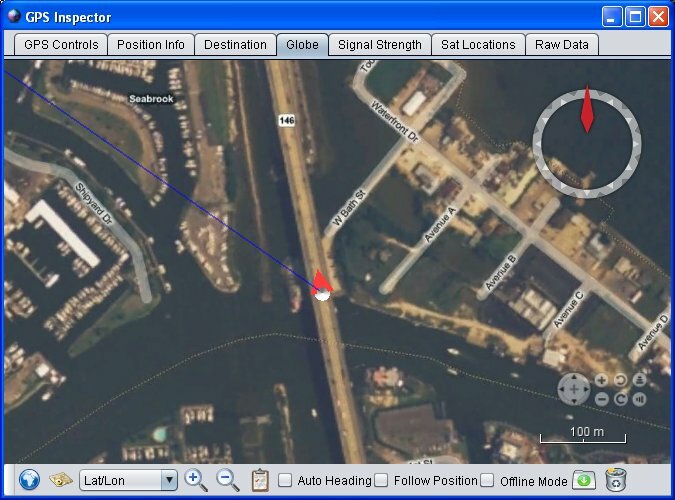 Some modification of the code would be needed to get it to work with Garmin Devices. I have also used the program on both windows and linux machines without any trouble. 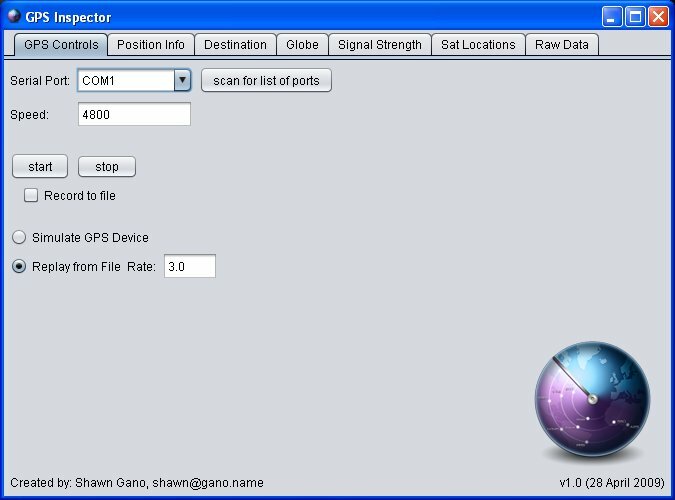 Bulk imagery downloader for caching imagery for offline use. 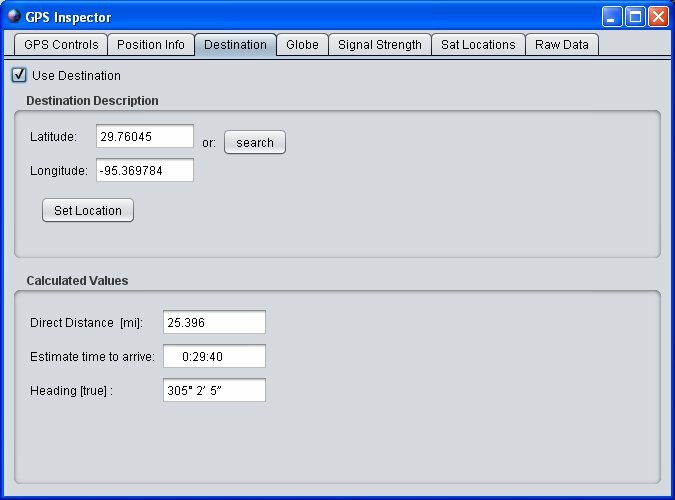 GPS Inspector requires java 1.6. Beyond that all other needed libraries are already included. To run the program you need to download two items, first the program itself (1) and second your computer specific binary files (2). (2) Binaries for your specific platform can be downloaded below or directly from JOGL and RXTX. After downloading the binaries place them in the root folder of GpsInspector. 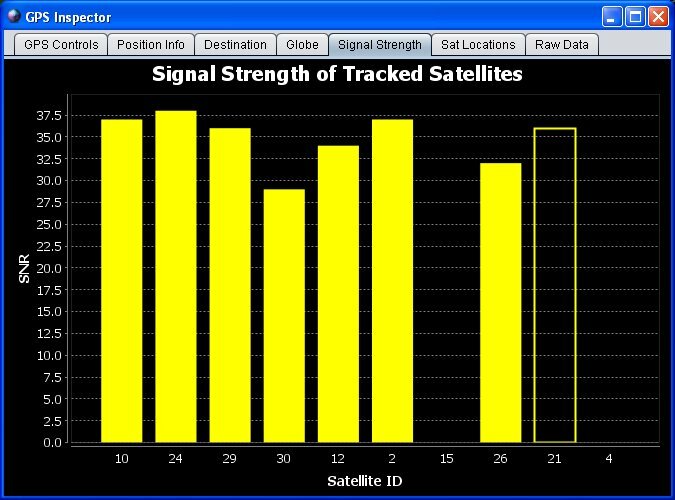 Filled in yellow means the sat was used in fix solution, yellow outline indicates that the satellite is being tracked but not used in the fix solution, and red means that the satellite is in the GPS almanac but is not being tracked.